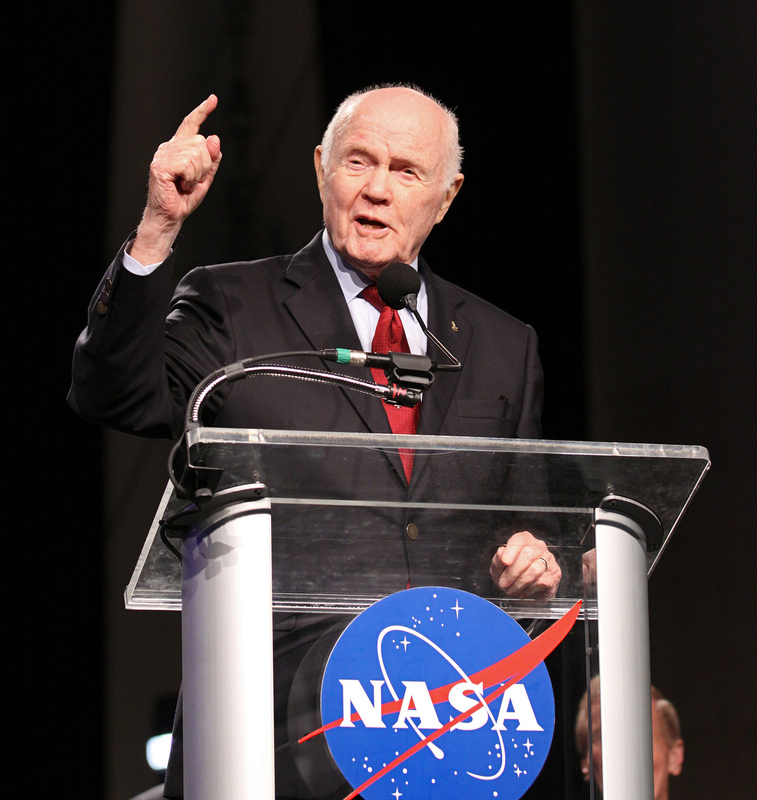 CAPE CANAVERAL — Orbital ATK’s next commercial resupply freighter going to the International Space Station will be named the S.S. John Glenn, paying tribute to the legendary first American to orbit the Earth. Glenn died Dec. 8 at age 95. The company has made it tradition to give each of its autonomous Cygnus cargo ships launched under NASA’s privatized logistics delivery program to the space station a name to honor a former astronaut who has passed away. Previous Cygnus vehicles have been named for G. David Low, C. Gordon Fullerton, Janice Voss, Deke Slayton, Rick Husband and Alan Poindexter. 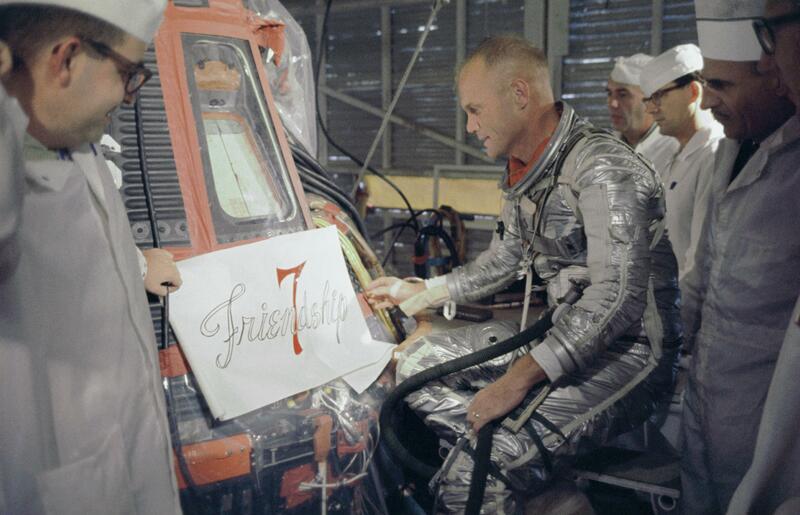 John H. Glenn Jr., a decorated combat veteran and test pilot, was one of the original Mercury 7 — the pioneering cadre of NASA astronauts at the dawn of the space age. He rocketed into human history on Feb. 20, 1962, strapped in the Friendship 7 capsule atop an Atlas rocket, to become the first American to orbit the planet. While lasting only five hours before splashing down near Bermuda, the trail-blazing flight achieved a critical step in the pursuit to live and work in space. After serving for a quarter-century as a senator from his beloved home state of Ohio, Glenn left the U.S. Congress and returned to NASA to train as a payload specialist and serve as the oldest human subject in biological tests conducted in the microgravity environment of space. His triumphant return to space, at age 77, came aboard shuttle Discovery’s STS-95 mission in 1998, spending 9 days being poked and prodded in the name of medical research. Glenn always remained a steadfast advocate for space and the promise that experiments aboard the International Space Station could lead to breakthroughs to improve life on Earth. The S.S. John Glenn, launching atop an Atlas 5 rocket, will carry about 7,500 pounds of crew provisions and fresh science investigations to the space station this month. Experiments include studies with lung cancer cells, chemotherapy drugs, improving radiological detectors for homeland security, a plant-growing chamber for harvesting food in space and a technology demonstration for science sample return capsules. Cygnus has been fully loaded and its hatch sealed for flight at Kennedy Space Center’s Payload Hazardous Servicing Facility. It will be encapsulated within the launch vehicle’s nose cone tomorrow. 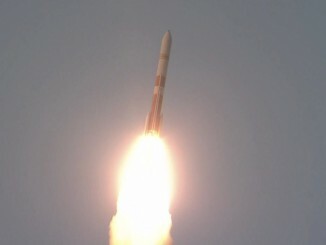 United Launch Alliance is responsible for getting John Glenn back into space, using the Atlas 5 to propel the 16,000-pound ship into low-Earth orbit from Cape Canaveral. Cygnus will be moved to the Atlas 5 rocket’s vertical assembly building on Monday for attachment to the launcher. 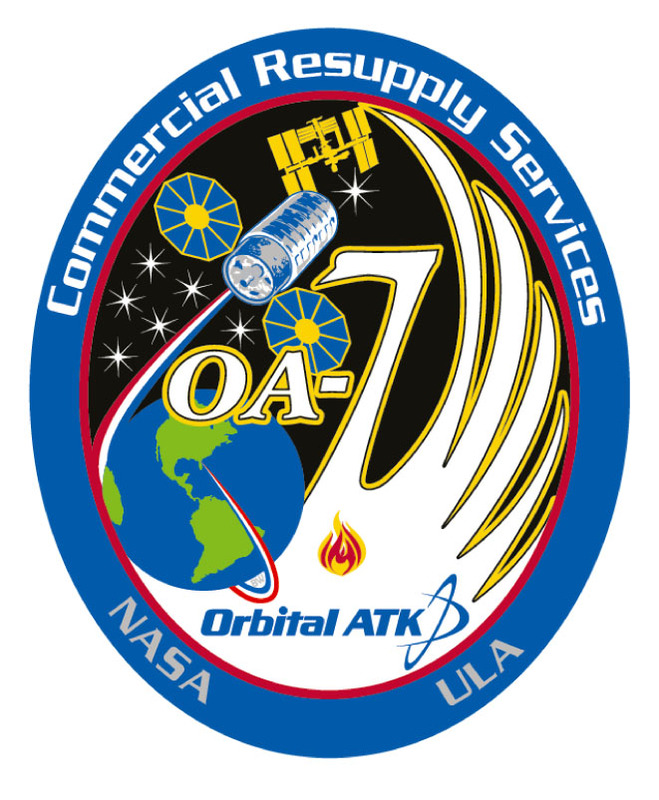 The mission is otherwise known in the space station scheduling matrix as OA-7. After an automated rendezvous with the station, the Cygnus will pause its approach within reach of the Canadarm2 robotic arm. The arm will grab a capture device on the ship’s exterior and maneuver it to a berthing port on the underside of the Unity module for attachment and unloading. 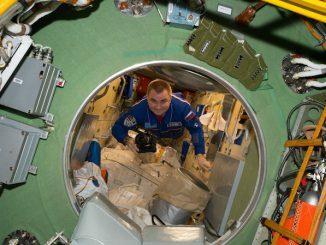 It is scheduled to spend about three months attached to the station, allowing the resident astronauts to empty the cargo and fill the vessel with trash and disposables. 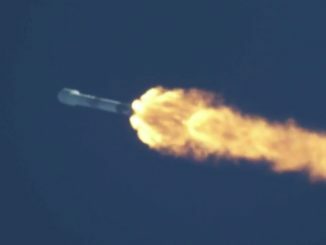 After departing the station, Cygnus will climb to a higher altitude to deploy cubesats and conduct another in a series of contained fire experiments to better understand how flames behave in microgravity. The S.S. John Glenn concludes its mission this summer in a blaze of glory, re-entering harmlessly over the South Pacific.